North American. (snow drop tree) Rarely seen. 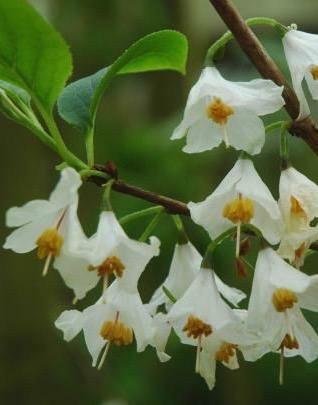 A beautiful open, large shrub, small tree with clusters of pendant white bells. Winged fruits in the autumn. Neutral to acid soil. 7m tall.